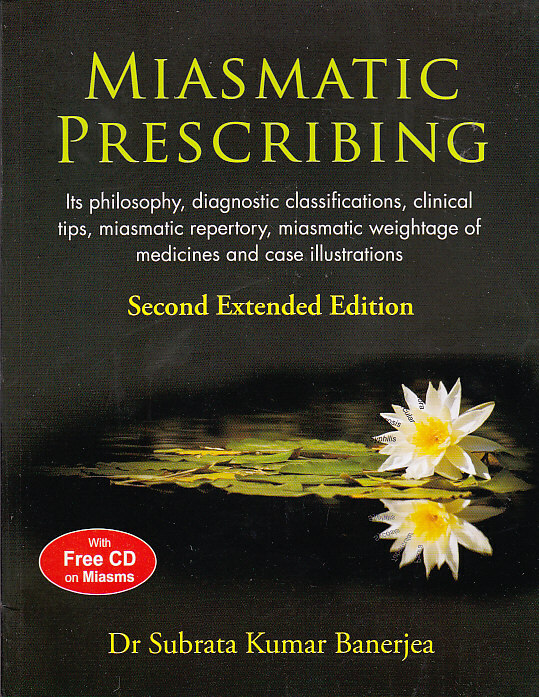 Miasmatic Prescribing is the much enlarged edition of the book Miasmatic Diagnosis which is a bestseller book on miasms by Dr S.K. Banerjea. Categories: Health, Health and Medicine, Homoeopathy, Mind, Body, Spirit. Tags: homeopathy, 9788131909430, alternative medicine, alternative therapy, complementary medicine, complementary therapy, health, homeopathic medicine, homoeopathic medicine, homoeopathy. 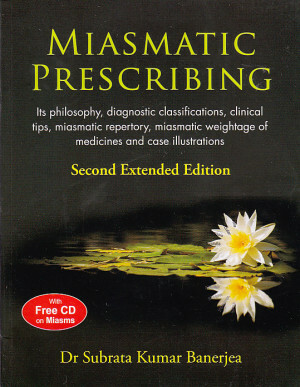 In this edition of Miasmatic Prescribing the author has revised and added many new chapters to his earlier book Miasmatic Diagnosis. This edition represents his further experience of more than 26 years of clinical practice. Miasmatic Prescribing was written over a period of fifteen years and supported by clinical experience. This is the most complete book on Miasms with new sections and ideas.